Home renovation is often an exhausting and time-consuming process. But let’s not forget that once the builders leave the premises, it is you who have to bring your home in order. This may sound like a difficult task, but don’t worry – our after builders cleaning services in Kensington will leave your house or apartment just the way you want it – dust-free, clean and tidy. And the best part is we are available every day of the week. Our cleaners are fully-trained and will use professional equipment and products to restore your home to its pre-construction state. Your home will be spotless in no time. You don’t want to deal with the dust, clutter and debris builders leave behind once they have finished renovating your home or apartment? The good news is you don’t have to clean up the mess yourself! All you have to do is give us a call and book our certified and trained cleaners in SW7 Kensington – they will do the job for you and you will be overwhelmed with the results. 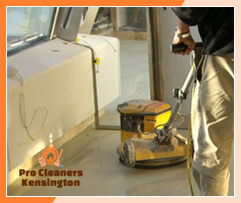 Pro Cleaners Kensington provides high quality cleaning services that will leave you speechless as soon as you see the results. Once builders are done with renovation and construction, your home resembles a utter mess. You are faced with the unpleasant task of dusting, collecting clutter and dealing with litter. Quite naturally you feel disheartened and stressed out. 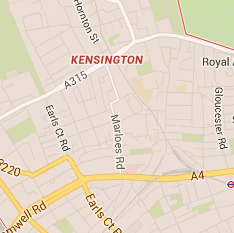 Why not allow our company in SW7 Kensington to help you out? We have a great number of loyal customers who just keep getting back to us. And there’s a good reason why! We are one of the most successful after builders cleaning companies because we offer established standards, guaranteed quality and we care about our customers’ needs. Their satisfaction is our number one priority! We will thoroughly clean the premises from top to bottom. Our professional cleaners in Kensington London will collect the dust, vacuum-clean the carpets, mop the floors, remove all stains, collect and remove cement plaster and other construction debris. Your home will once again be spotless and cosy. You will be in awe when you see the final result. If you need after builders cleaning services, don’t hesitate to reach out to us. Request a quote online or contact us on the phone right away.